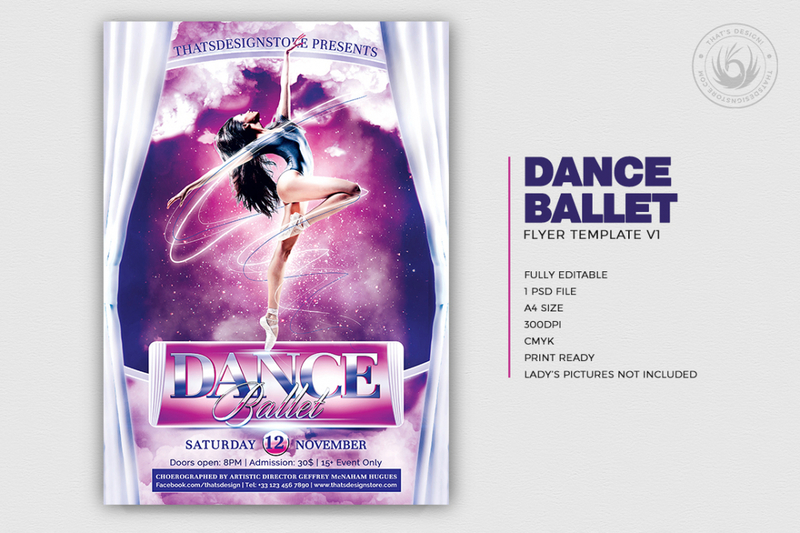 Download this Dance Ballet Flyer Template so you can Customize it with your Photoshop. It’s ready to print and 100% editable. Lady’s Picture not included. Replace it easily with your own stock via smart object. Link in the help file. Fonts download links provided within the help file. Text: All the text is editable by simply double-clicking on the text layer in Photoshop, and just typing in your desired information. Lady’s picture: Double-click on the smart object layer « Double-click to edit », place your picture in the newly opened window and save. Check out this Dance Ballet Flyer Template designed to promote your dance ballet course or event. 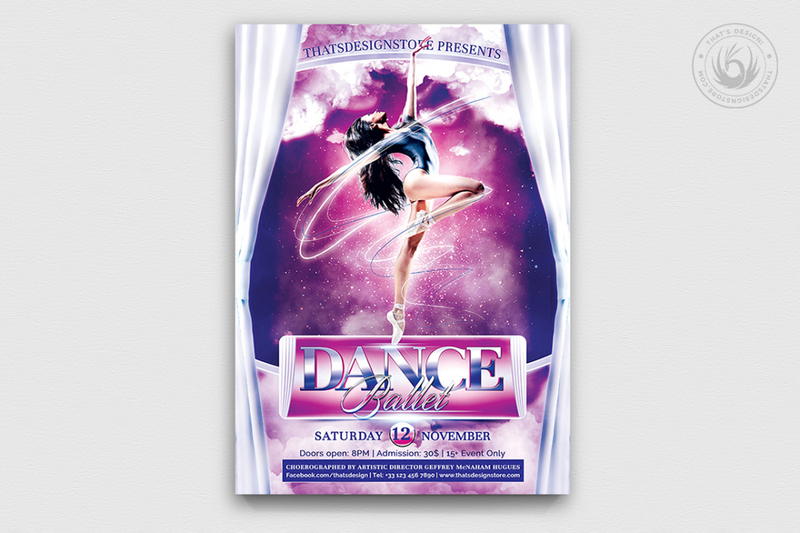 Customize your Classical psd flyer template easily.